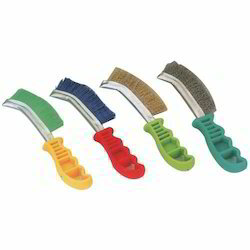 We are committed to offer our clients a wide collection of Metal Strip Brush. The material used in the manufacturing process is sourced from vendors of high repute. To meet the variegated requirements of customers, we offer these machines in a spectrum of specifications at industry-leading rates. 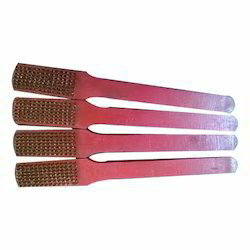 We are offering PVC Wire Brush to our clients. Priced at the most realistic rate possible, the presented PVC Wire Brush is acknowledged to have appealing design and skin-friendly nature.